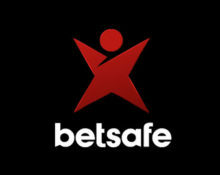 Betsafe – Wolf Cub™ Free Spins and Tournament! Claim up to 150 daily Free Spins and take part in the €10K tournament! 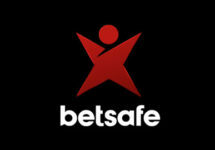 Third promotion for the Betsson exclusive Wolf Cub™ slot and this one at their 3rd brand Betsafe. Players who wager on the new game can claim up to 130 Free and BIG spins per day for seven days. On top they called out a €10 tournament where the equalized spin result over 20 consecutive spins will determine the leader board position. Great promotion for the release of the new and exclusive Netent slot, divided again in two parts for daily Free, BIG and SUPER spins and an equalized tournament. 16th – 22nd February 2017 – OPT-IN on the promotion page first. Deposit minimum €10 and wager €50 on Wolf Cub™ to receive 50 Free Spins worth €0.20 each. Wager a further €250 and receive 50 BIG Spins worth €1.00 each. Last but not least wager another €450 and receive 30 SUPER Spins worth €3.00 each. Players need to deposit and wager the minimum specified amount between 00:01 – 23:59 CET every day they want to take part. Spins are instantly credited once the requested wagering amount is completed. Winnings from the Free/BIG/SUPER Spins need to be wagered 35x within 3 days. Players from Ecuador, Nicaragua and Panama are not eligible to receive Free and/or Big Spins. Bonus terms apply, read them carefully. 16th – 22nd February 2017 – OPT-IN on the promotion page to take part in the equalized tournament at any bet size as the ranking on the leader board is based on the highest average earnings over 20 consecutive spins, irrespective of the stake. The TOP100 players will share the prize pool with prizes credited on 23rd February 2017 as bonus with a 2x wagering requirement within seven days. Bonus terms apply. Launched in 2006, the casino is operated by BML Group Ltd. under MGA and UK licenses. The player has the choice of mobile or desktop platforms with Casino, Sportsbook, Live Betting, Live Casino, Virtual Sports and Poker. The Casino section has a large array of games from Netent, Cryptologic, IGT, Leander Games, Microgaming, ONgame, Play’n GO, Thunderkick, Williams Interactive, Yggdrasil and Evolution Gaming for the Live Casino. A seemingly endless list of currencies and payment methods ensures fast and secure deposits and withdrawals. The website is available in 7 languages and Customer Support is provided 24/7 via Email, Phone and Live Chat.